JERSEY CITY, NJ – Statement from Hudson County Sheriff Frank X. Schillari on fatal accident on Kennedy Blvd., and Neptune Ave., in Jersey City today. 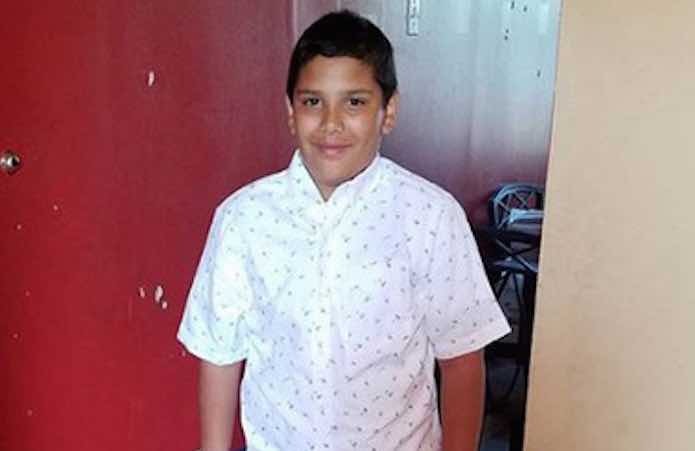 “At approximately 8:06 AM, Sheriff’s Officers who were in the area of Neptune Ave., and Kennedy Blvd., heard a crash and found 11 year-old George Gonzalez lying on the South lanes of Kennedy Blvd., critically injured. The officers immediately began first aid in an attempt to aid the injured boy until Jersey City EMS arrived. The boy was struck by a commuter bus driven by Raul Delatorre-Galaza, 44, of Elizabeth, who investigators learned has a suspended New Jersey Driver’s License. George Gonzalez later succumbed to his injuries at the hospital. Mr. Delatorre-Galaza has been charged with Causing a Death While Driving With A Suspended License, his bail was set at $50,000 cash or bond and he is at the Hudson County Correctional Center, in addition, he was also issued motor vehicle summons for Driving While Suspended. Mr. Delatorre-Galaza has had multiple license suspensions in the past.